But wait a minute - these are decidedly not nightly builds, as would usually be the case. 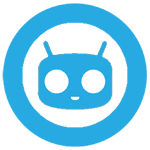 As the CyanogenMod team explains in an official blog post, these are M snapshot builds. If you'll recall, CM's M snapshot builds are a step above nightlies in terms of reliability, but not quite as good as a release candidate. In short they're reliable "daily driver" ROMs for experienced users. That's why these M builds are being released exclusively to Nexus devices: with official support in AOSP code, it's easy for the team to make reliable and relatively bug-free (though not necessarily feature-complete) builds available. In fact, they're already working on Android 4.4.1. Nightly builds for Nexus and other devices, including the somewhat underserved Galaxy Nexus, should be coming soon. In a previous post the CM team said that they would be ready by the end of November. If you're happy with the official 4.4 builds from Google, you might want to stick to them for the moment. But if you're rooted, have a custom recovery handy (CM recommends ClockworkMod), and a sense of adventure, the download page is below. The official Gapps page has already been updated.